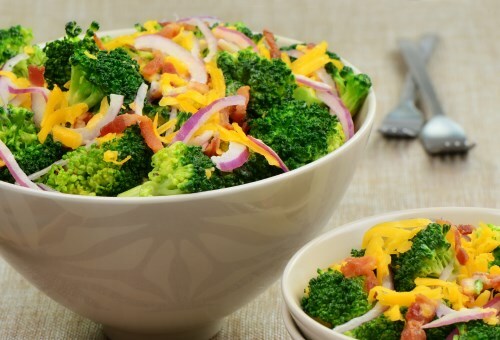 Combine the broccoli, onions, raisins, and sunflower seeds. In a small bowl, whisk the yogurt, orange juice, and mayonnaise until blended. Pour over the broccoli mixture and toss to coat.